Dr Terri Libesman researches in the fields of children and law and Indigenous peoples and the law . She works closely with Indigenous children’s organisations and her work critically engages with the meaning and implementation of human rights with respect to child welfare. Her research focusses on national and comparative international models for Indigenous children’s well-being. She teaches and supervises in the fields of children and the law, tort law, Indigenous peoples and the law and jurisprudence. Terri has worked for major national inquiries including drafting chapters on contemporary child welfare and self- determination for Bringing them home the report of the National Inquiry into the Separation of Aboriginal and Torres Strait Islander children from their families. She has subsequently conducted research for public inquires and on research projects examining cultural care, placement in out of home care and principles of self- determination. 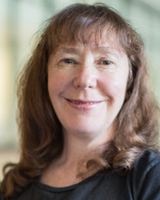 Terri is the author and co-author of books, chapters and journal articles including recently Decolonising Indigenous child welfare – comparative perspectives 2014 published by Routledge, Indigenous Legal Relations in Australia (with Larissa Behrendt and Chris Cunneen) 2009 published by Oxford University Press and in 2016 she is guest editing a special edition of the Australian Indigenous Law Review on Indigenous child welfare and neo-liberalism. Terri’s current research projects include case studies of arbitrary and discriminatory removals of Aboriginal and Torres Strait Islander children from their families with the Secretariat for National Aboriginal and Torres Strait Islander children (SNAICC); A mothers story with Bev Whyman and Professor Linda Briskman (Swinburne University) and an Indigenous Rule of Law with Associate Prof Mark McMIllan ( Melbourne Law School). Behrendt, L, Cunneen, C, Libesman, T & Watson, N 2018, Aboriginal and Torres Strait Islander Legal Relations. Decolonsing Indigenous child welfare reflects on how comparative and international understandings of Indigenous childrens rights, with particular reference to the right to self- determination, have and could further influence child welfare frameworks in Australia and comparatively in Canada, the USA and New Zealand. Indigenous peoples have responded both nationally and internationally with claims to participate in and exercise jurisdiction over their childrens welfare and well- being. Decolonising Indigenous child welfare considers whether pluralized and inclusive, compared to universal and standard setting, conceptualizations of human rights can be part of a process for transforming political relationships in a manner which responds to Indigenous childrens needs in more just and effective ways. Libesman, T & Sripathy, V 1996, Your Body Your Baby, First, Redfern Legal Centre Publishing, Sydney. Cunneen, C & Libesman, T 1995, Indigenous People and the Law in Australia, Butterworth-Heinemann. One in the 'Butterworths Legal Studies' series, this introductory text for students has been written to meet the requirements of the legal studies syllabus. Libesman, T 2017, 'Indigenising child welfare', Indigenous Law Bulletin, vol. 8, no. 28, pp. 16-19. Almost 20 years post Bringing then home the contemporary child welfare recommendations from the Stolen Generations Inquiry, which focus on cultural recognition and self determination, even when partially legislated for have not been implemented in practice. This article argues that while there are deep set difficulties with recognition of Indigenous peoples' collective rights within a liberal legal environment, the neoliberal political and social values which have ascended post the National Inquiry are incompatible with, and directly undercut, the human rights framework recommended by Bringing them home. Libesman, T 2016, 'Forward Indigenous children's well-being', Australian Indigenous Law Review, vol. 19, no. 1, pp. 2-4. Libesman, T & McGlade, H 2015, 'Redress in response to institutional sexual abuse of indigenous children', Indigenous Law Bulletin, vol. 8, no. 17, pp. 34-37. In January 2015, the Royal Commission into Institutional Responses to Child Sexual Abuse ('the Commission') published a consultation paper entitled Redress and Civil Litigation.1 In this article, we address four issues relevant to the specific concerns of Indigenous survivors of institutional abuse which we believe are not adequately covered in the consultation paper. Libesman, T 2013, 'Book Review of Hannah McGlade, Our greatest challenge - Aboriginal Children and Human Rights', Alternative Law Journal, vol. 38, no. 2. It is a good opportunity on the 10th anniversary of Bringing Them Home and with the election of a new Federal Government to consider a human rights framework for Indigenous children's wellbeing. This paper will discuss Aboriginal and Torres Strait Islander children's welfare within a human rights framework, and begins with an analysis of what such a framework entails. It then will discuss three matters related to Aboriginal and Torres Strait Islander children's contemporary human rights. Firstly, it discusses misconceptions about the relationship between Aboriginal and Torres Strait Islander children's welfare and rights which have gained some currency in Australia in the past weeks and months. Secondly, it examines the human rights framework recommended by Bringing Them Home for Aboriginal and Torres Strait Islander children's welfare. Finally, it evaluates reform to Australian child welfare legislation that has taken place over the past decade. This paper suggests that a human rights framework offers an opportunity for both an immediate response to Indigenous children's wellbeing and for structuring a longer-term response to Indigenous children's needs. This article considers whether international law, which by its nature is universal and general, can contribute effectively to the establishment of standards and monitoring mechanisms which respond to local and concrete problems experienced by indigenous children? Two related questions are considered. Can culturally diverse standards of conduct be judged against universal standards developed (with their ontology) in a western institutional context, and can collective and group values be accommodated in an individual human rights framework? Libesman, T. 2007, 'Government neglect - guest editorial', Indigenous Law Bulletin, vol. 6, no. 27, pp. 12-12. The removal of Indigenous children from their families within contemporary Australia is considered by way of both child protection and juvenile justice interventions and within the context of the National Inquiry into the Separation of Aboriginal and Torres Strait Islander Children from their Families. In particular, the article considers the findings and recommendations of the Inquiry in relation to contemporary removals and Government responses to those recommendations. Libesman, T & Cunneen, C 2000, 'An apology for expressing regret? ', Meanjin, vol. 59, no. 1, pp. 145-154. May 2017 marked the 20th anniversary of Bringing Them Home, the Australian Human Rights Commission report into the forced and unjustified removals of Indigenous children from their families (NISATSIC 1997). The report concluded that these actions were part of a sustained campaign by the Australian government to eradicate Aboriginal and Torres Strait Islander families, communities, and culture. Nearly a third of the report examined and made recommendations with respect to contemporary removals under child welfare, juvenile justice, and family law. These recommendations were part of the reparations and were aimed at creating laws and policies designed to ensure the discriminatory practices would cease and would not be repeated. Twenty years post-Bringing Them Home, however, Indigenous children are being removed from their families in unprecedented numbers (Libesman 2016, pp. 46–7). Libesman, T 2017, 'Aboriginal and Torres Strait Islander children's welfare and well-being' in Young, L, Kenny, M & Monahan, G (eds), Children and the Law in Australia, LexisNexis, Australia, pp. 307-336. Case-based child welfare services, delivered by bureaucratic government departments and in empirical data do not provide good outcomes for Indigenous children and young people. Further, an individualised approach conceals the systemic factors which drive inequality and high levels of contact with child welfare systems in particular with respect to neglect. This chapter examines why decision making within bureaucratic child welfare departments does not attain good outcomes for Indigenous children and why a policy of self-determination, within a human rights framework, is likely to provide a better framework for decision-making. This chapter considers the relationship between modes of decision making and the exercise of moral agency by decision makers and why valid and legitimate decision with respect to Indigenous children's well being need to substantially include Indigenous experience in the decision making process. Consideration is given to the justification for separate Indigenous making bodies, which are implied in policies and processes of self-determination. These justifications are found in terms of a commitment to political equality, in the historical and practical experiences of Indigenous peoples, which distinguish them from other minority or majority groups, in the the rule of law. It is suggested that recognition of Indigenous identity, histories and perspectives in decision making with respect to Indigenous children and young people's well being will contribute not only to more just and effective outcomes for Indigenous families but also to a more dynamic and enlarged democracy for the broader community. Briskman, L & Libesman, T 2014, 'Indigenous Australians: De-colonisation or re-colonisation? Contemporary social work and indigenous australians' in Simon, R & Andrew, D (eds), Social Work in the Shadow of the Law, The Federation Press, Sydney, pp. 213-232. Laws have a cumulative and pervasive impact on the lives of individuals and communities. Drawing on the examples of `the stolen generations, the child protection and criminal justice systems, this chapter explains how legal and policy provisions have failed to provide effective solutions to the problems faced by Indigenous peoples and have contributed to cumulative disadvantage. It is suggested that it is important to re-frame social work as a rights-based profession and to identify ways in which social workers can engage in practice that enables Indigenous Australians to participate fully in society while recognising their cultures, aspirations and the impact that history has had. This chapter explores some of the ways in which international human rights law offers a framework within which Indigenous children and young people's welfare can be addressed. It considers how the re-characterisation of international law, from universal and transcendental to pluralising and inclusive, has been theoretically and practically relevant to Indigenous children and young people's rights. It focuses on Indigenous peoples' engagement with the United Nations in the context of evolving understandings of principles of selfdetermination as they relate to Indigenous children and young people. It explores these issues through two Australian-based case studies: the implementation of the Aboriginal and Torres Strait Islander Child Placement Principle (ATSICPP), with particular reference to the State of Victoria, and the Northern Territory Emergency Response (NTER) in the Northern Territory. Libesman, T. 2007, 'Not one without the other: Human rights and Aboriginal and Torres Strait Islander children's well being go hand in hand' in Mark Lawrence (ed), "Remember Me": Commemorating the Tenth Anniversary of the Bringing Them Home Report, The Secretariat of National Aboriginal and Islander Child Care Inc., North Fitzroy Vic AUSTRALIA, pp. 23-26. Libesman, T. 2001, 'Cultural Rights, Human Rights and the Contemporary removal of Aboriginal and Torres Strait Islander Children from their Families' in Garkawe, S., Kelly, L. & Fisher, W. (eds), Indigenous Human Rights, The Sydney Institute of Criminology, Sydney, pp. 41-63. Libesman, T., Pearce, S. & Kelly, R. 1999, 'Indigenous women and relations with the state' in Hancock, L. (ed), Women, Public Policy and the State, Macmillan, Australia, pp. 144-163. Libesman, T., Secomb, L. & McMullin, F. 1996, 'Contraceptive choices' in libesman, T. (ed), Your Body Your Baby Women's Legal Rights from Conception to Birth, Redfern Legal Centre Publishing, Sydney, pp. 2-23. Libesman, T., Secomb, L. & McMullin, F. 1996, 'Adoption' in Terri Libesman (ed), Your Body Your Baby Women's Legal Rights from Conception to Birth, Redfern Legal Centre Publishing, Sydney, pp. 79-95. Libesman, T., Weldon, D., Dunlop, R. & Waterson, P. 1996, 'Death of a baby' in Libesman, T. & Sripathy, V. (eds), Your Body Your Baby Women's Legal Rights from Conception to Birth, Redfern Legal Centre Publishing, Sydney, pp. 180-196. Libesman, T 2015, 'Jurisdiction v Practice : do human rights offer an adequate response to Indigenous children's inequality in the neo liberal child welfare space? ', Spaces of Indigenous Justice, Tuscon, Arizona. Libesman, T & McMillan, M 2015, 'Indigenous children, violence and the rule of law', Epistomologies of the South, Coimbria, Portugal. Libesman, T 2012, 'Pluaralising Indigenous child welfare', Law and Society Conference, Hawaii. Libesman, T 2011, 'Cultural Care for Indigenous Children in Out of Home Care:Respecting Rights and Identity', International Congress on Law and Mental Health, Berlin. Libesman, T 2008, 'How does the Victorian child protection legislation measure up? ', River of culture runs deep - learning from old ways creating new ways forward, Melbourne, Ausrtalia. An evaluation of what is meant by cultural care for Aboriginal and Torres Strait Islander children in out of home care, the relationship between cultural care and the Aboriginal and Torres Strait Islander child placement principle and the relationship between cultural care, principles of self determination and Indigenous children's welfare and well being. Libesman, T. SNAICC 2011, The Cultural appropriateness of the LAC Assessment and Action Records, pp. 1-83, Victoria. This report exams the cultural appropriateness of the LAC Assessment and Action records for Aboriginal and Torres Strait Islander children in out of home care. Consideration is given to ethical issues with respect to the application of LAC with respect to monitoring the development and well being of Aboriginal and Torres Strait Islander children in out of home care. Libesman, T. 2008, The rights of the child and the NT Intervention, pp. 1-61. Libesman, T & Cunneen, C 2001, Report into substantiated cases of emotional abuse and neglect against Indigenous children in NSW, Sydney. Libesman, T & Cunneen, C AIATSIS 1996, 'Case Studies, NSW and Victoria in Fingleton, J. Final Report: Review of the Aboriginal Councils and Associations Act 1976 (Cth, Canberra. Whittaker, A & Libesman, T 2018, 'Why controversial child protection reforms in NSW could lead to another Stolen Generation'. The Aborigina Legal Service NSW/ACT ( Aboriginal family and community particpation in child protection decision making).